Order Here - Buy Now! VERY EASY TO USE. 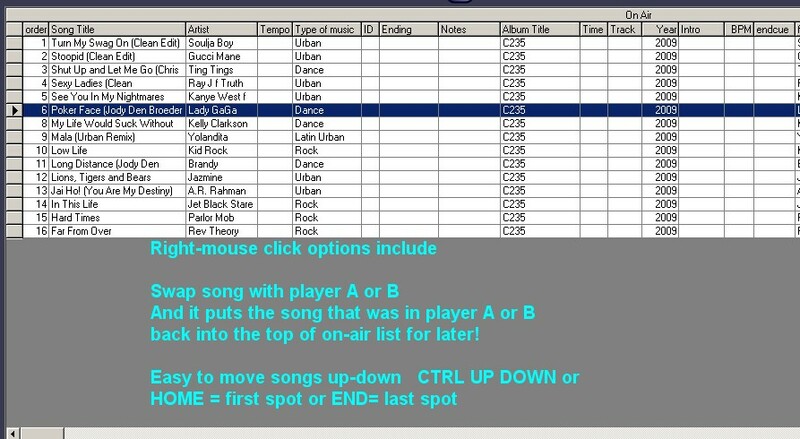 Start the program, go to database, go to import songs, point to your MP3s. 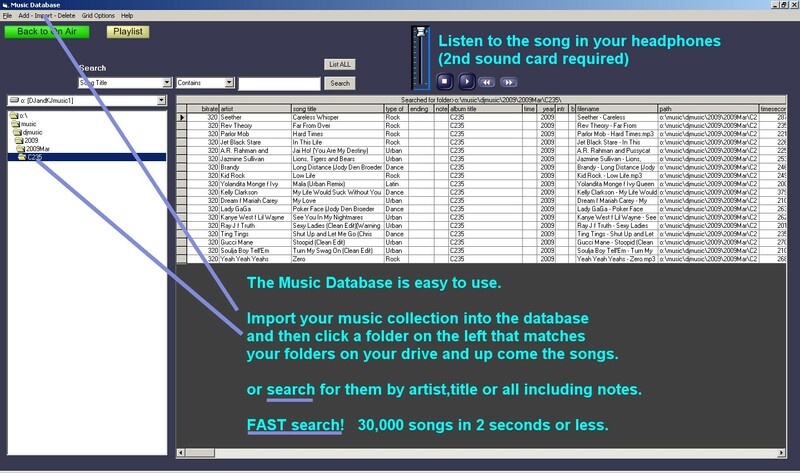 80,000 songs takes up about 80 MB of data (about the size of 20 MP3 songs) space on your drive. 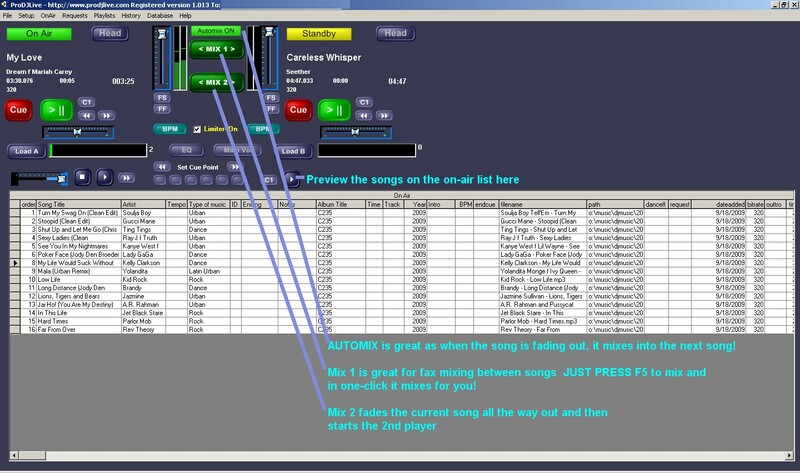 ProDJLive DJ mixing software currently is for mixing MP3 files but we are working on more formats depending on what people ask for. Great for mixing at weddings and parties without beat mixing as it does not have auto-beat mixing functions at this time.